More than one million people have signed a petition to remove Queensland senator Fraser Anning from parliament after his racist remarks victim-blamed Muslims following the Christchurch mosque massacre. As news broke a terrorist had killed 50 innocent people at their place of worship, the Australian politician – who only got 19 votes to become Senator – released a statement which cited ‘fears’ over an ‘increasing Muslim presence’ to attempt to rationalise this inexplicable evil with his own political agenda. He was widely condemned, needless to say, but two Australians have decided to take decisive action, by doing more than tweeting. A Sydney doctor, Kate Ahmad, and a Melbourne author, Harris Sultan, both started independent petitions, which later merged after gaining traction. The merged petition was lodged with change.org and quickly became the fastest-growing petition in Australian history, which now has more signatures than any other, with more than 1.1 million people having signed on the dotted line. There’s not currently a legal process to expel MP’s from Australian parliament unless they’re criminals or dual citizens, but the petitioners hope to draw attention to the public response to his comments. Senator Fraser Anning has no place in the government of our democratic and multicultural country. We request that he be expelled from his position as senator, and investigated by law enforcement agencies for supporting right wing terrorism. Almost 250,000 people signed up in the first 18 hours, Executive Director of change.org Sally Rugg told The Sydney Morning Herald. She said the petition was a ‘lightning rod’ for those who don’t support Anning’s anti-Muslim sentiment. 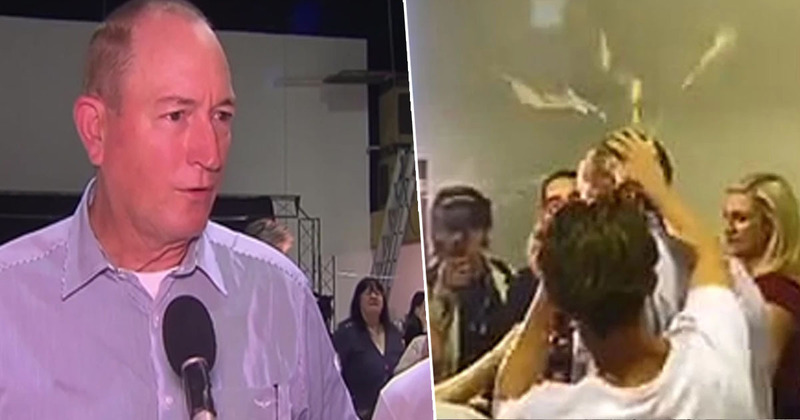 Anning, a former One Nation party member, was called a ‘disgrace’ by the New Zealand Prime Minister Jacinda Ardern. Senator Anning has previously been condemned for using the phrase ‘final solution’ – a reference to the Nazi regime’s Holocaust policy of the 1940s – in his maiden speech to parliament. I am utterly opposed to any form of violence within our community, and I totally condemn the actions of the gunman. As always, left-wing politicians and the media will rush to claim that the causes of today’s shootings lie with gun laws or those who hold nationalist views but this is all cliched nonsense. 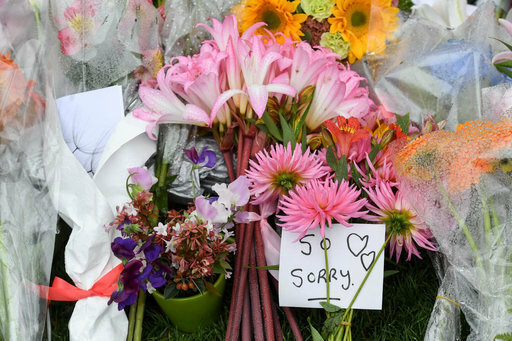 Anning attended a gun show in Ipswich on Sunday (March 17), two days after 50 people were killed in the horrific Christchurch attack. The day prior, a 17-year-old protester – later identified as Will Connolly – broke an egg on his head during a press conference. He’s been widely praised and a GoFundMe page established to cover his legal fees has already reached more than $39,000, as well as an honourary mural to his actions.